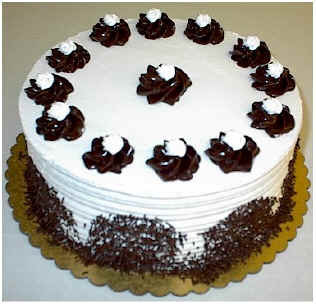 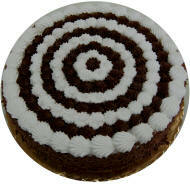 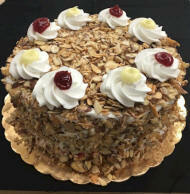 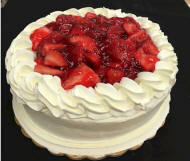 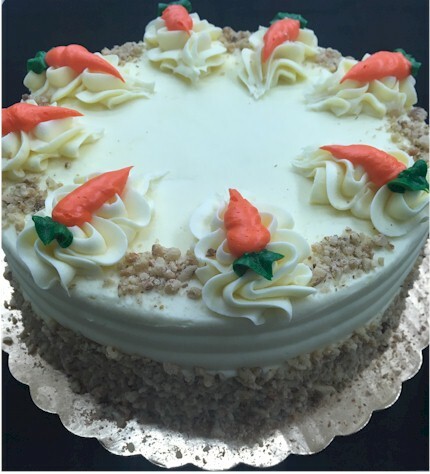 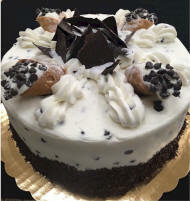 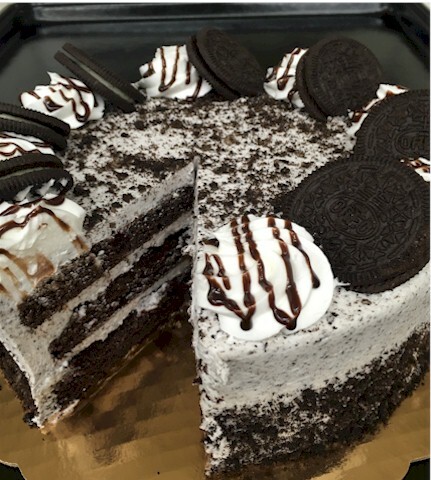 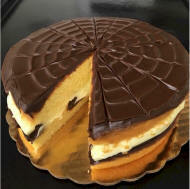 Check out our mouth-watering tortes and other cakes in our store today! 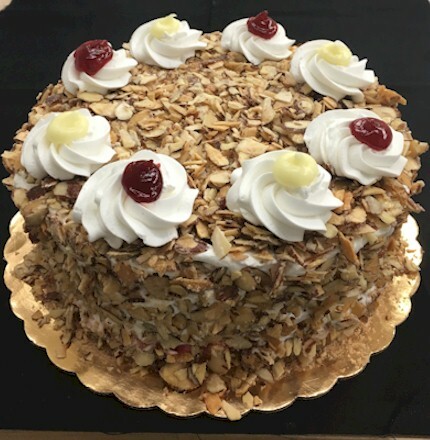 Our Tortes and Store cakes serve 10-12 and are 8"
Our Black Forest cake has three layers of decadent chocolate cake that has cherry and whip cream filling. 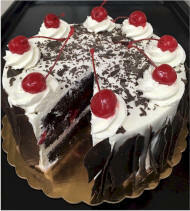 The icing is whip cream that is covered in shaved chocolate and cherries. 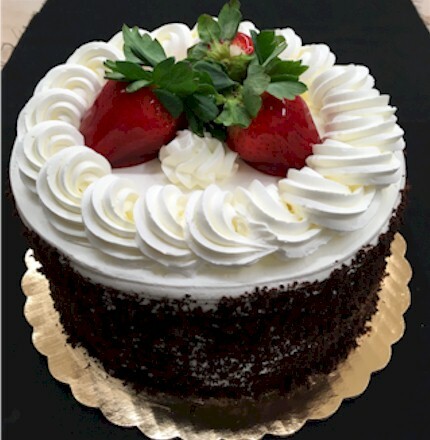 Three layers of our delicious chocolate cake with fresh strawberry and whip cream filling. 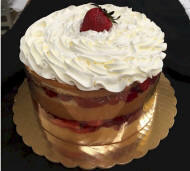 Finished with whip cream and fresh strawberries. Three layers of our delicious white cake and 2 fillings of cannoli cream. Frosted with cannoli buttercream and garnished with mini cannoli. 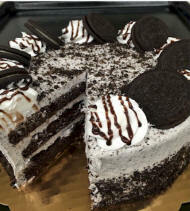 Two layers of delicious chocolate cake and one layer of cheesecake. 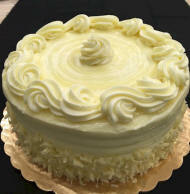 This delightful treat is iced in buttercream and finished in fudge. 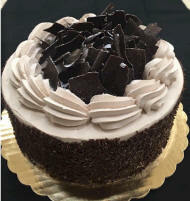 Three layers of sinful chocolate cake frosted and filled with chocolate fudge icing. Two layers of chocolate cake and one layer of white cake; filled with two layers of fudge and buttercream layered. 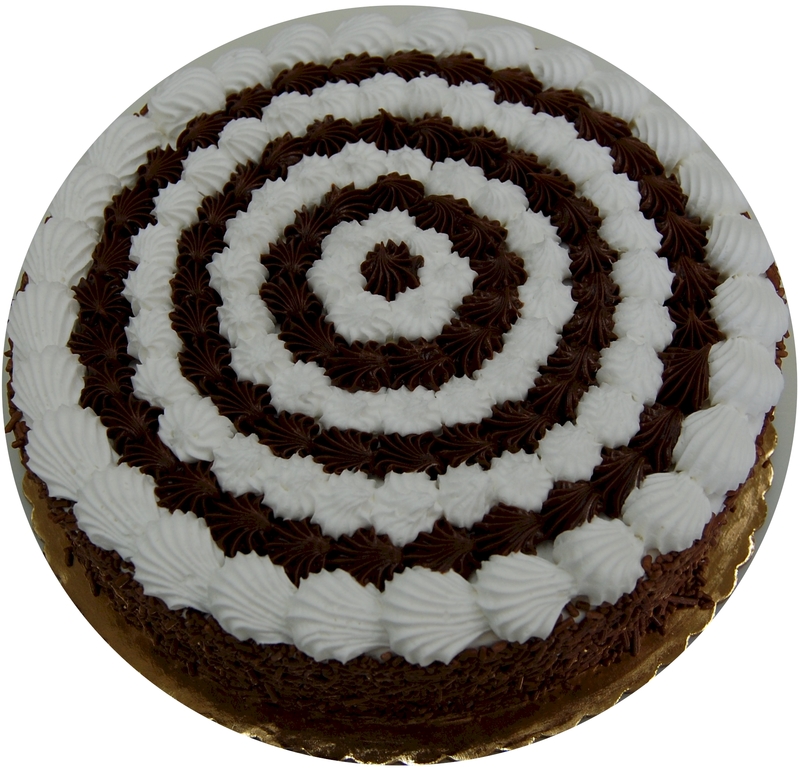 Topped with white buttercream and chocolate scrolls. 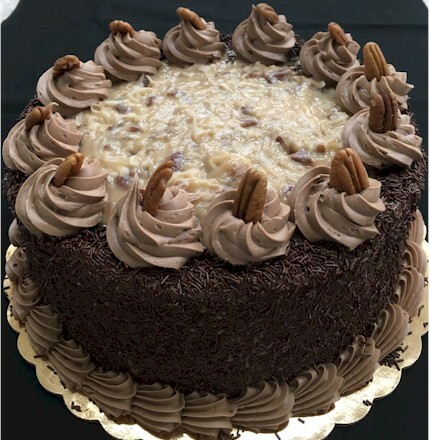 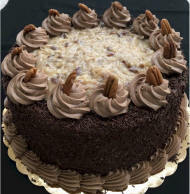 Three layers of chocolate cake are filled with two fillings and icing of Ray's Das German Chocolate. 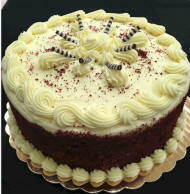 Three layers of gingerbread cake are filled with gingerbread buttercream. 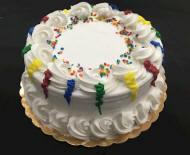 The snowy white buttercream icing is garnished with colorful swirls and mini gingerbread men. Three half layers of chocolate cake are loaded with two fudge and mint buttercream fillings. 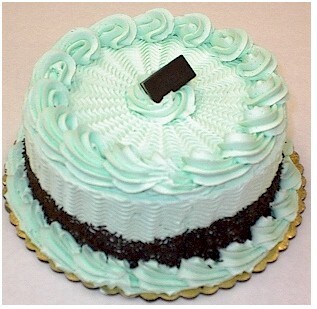 It is then frosted in mint buttercream. 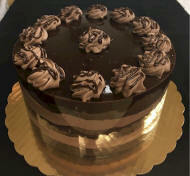 Three half layers of chocolate cake and two fillings of fudge and chocolate whip cream layered. 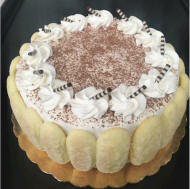 Frosted with chocolate whip cream and garnished with chocolate shavings. 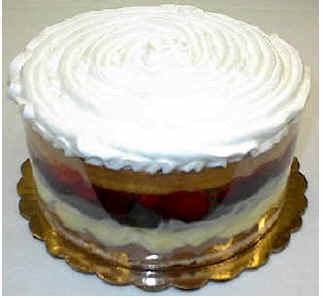 Three layers of yellow cake is filled with fresh strawberries and whipped cream. 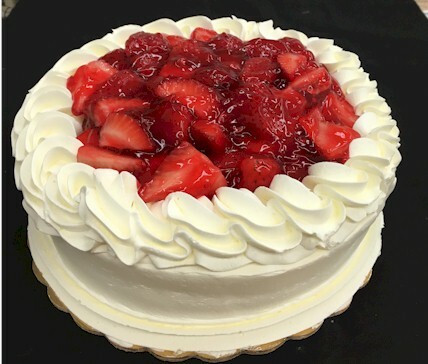 This cake is iced in whipped cream and topped with fresh strawberries. Known as the "Three Milks Cake," this torte has three layers of tres leche sponge cake, separated by two fillings of tres leche cream and strawberry glaze. 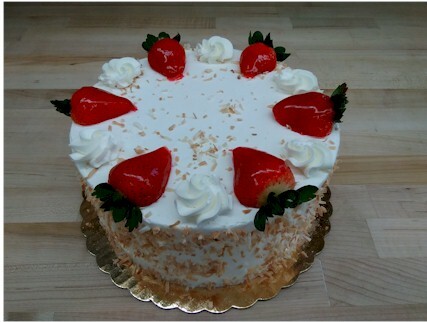 It is iced in tres leche cream and toasted coconut. 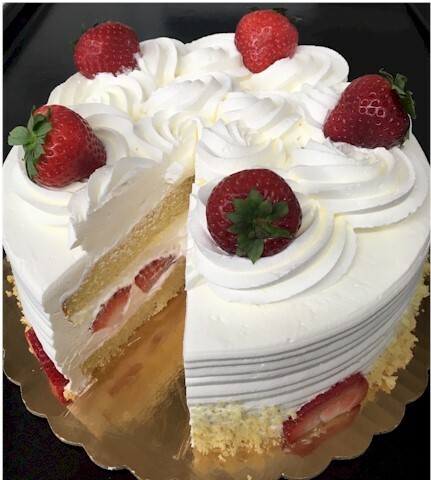 Three half layers of white cake encompased by white chocolate mousse and layers of Raspberry filling, garnished with white chocolate mousse. Three half layers of yellow cake filled and frosted in buttercream.